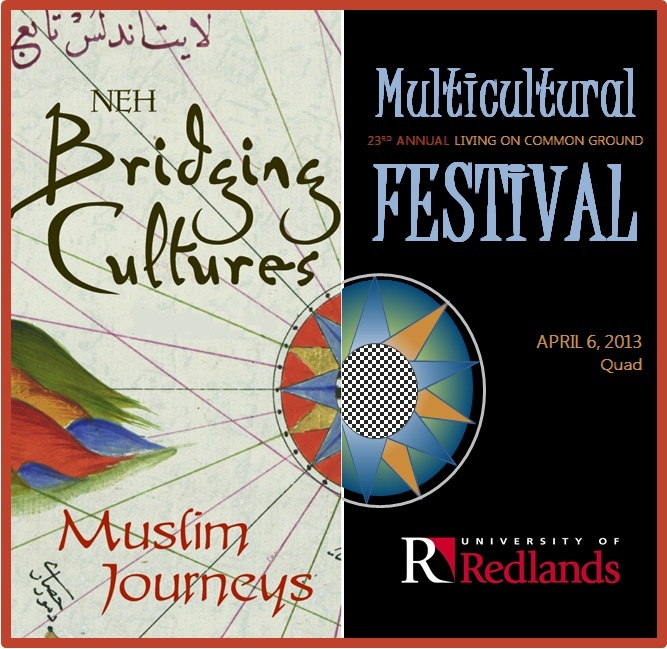 University of Redlands’ Campus Diversity & Inclusion held the 23rd annual Living on Common Ground Multicultural Festival this past Saturday, on April 6, 2013. 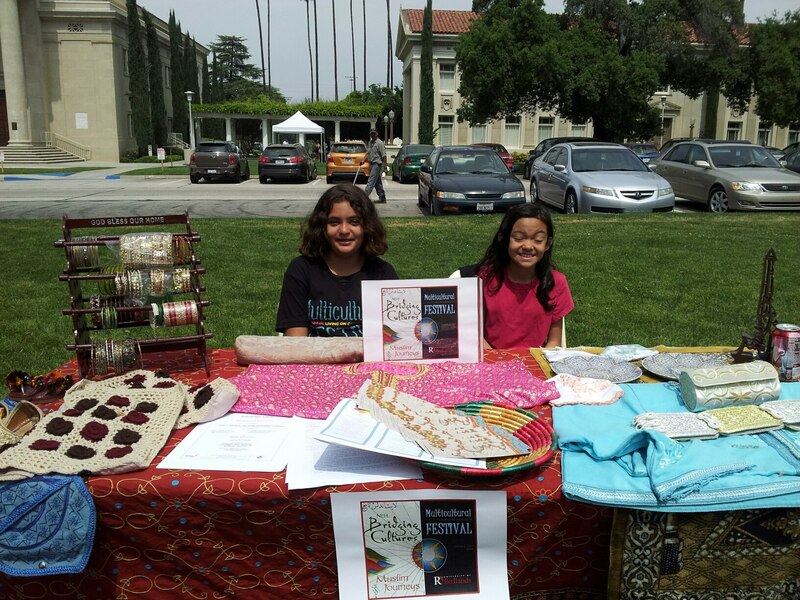 Armacost Library had a small, modest showing with Redlands Peace Academy to promote the community offerings at Peace Academy and the Armacost Library’s Bridging Cultures Bookshelf: Muslim Journeys. Here are some images. Helpers at the table. 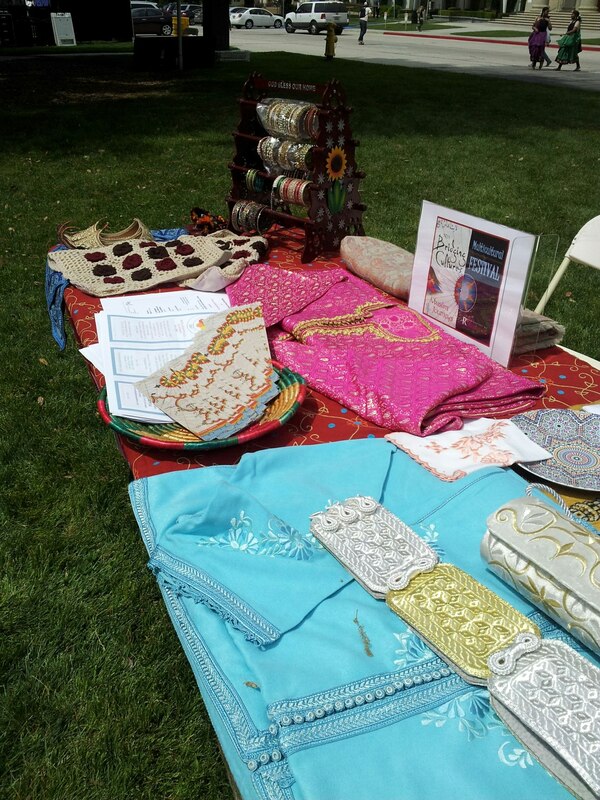 Artifacts were from India, Pakistan, Morocco.